Snails brings innocent nail painting fun to kids all over the world. We think playing dress up should be about safe enjoyment for the whole family. Now, with Snails, it is! 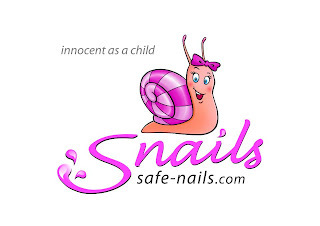 Founded in 2011 by half British and half Greek mum Jeanette Sklivanou, Snails Nail Polishes are a unique child friendly product. Snails (Safe Nails) are a true world’s first. Other water based polishes still require harsh chemical makeup removers. Only Snails lets your kids decorate their nails without ever touching nasty substances. They won't stain clothes or carpets either. So paint your nails together, and see them dry to a glossy salon finish in just three minutes. Snails are non-toxic, hypoallergenic, biodegradable and free from preservatives. 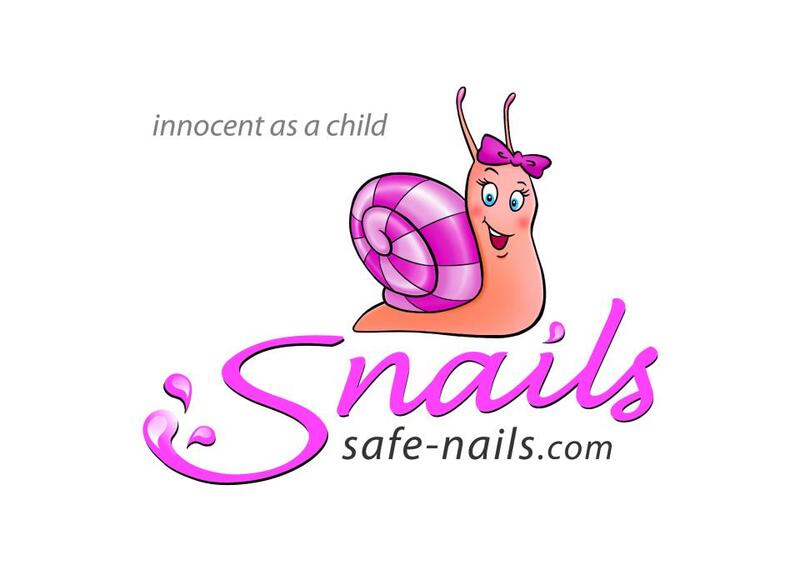 I got the chance to review Snails a Safe, Washable Nail Polish yes there is something that is much better for your kids.. Snails! At first I thought it was too good to be true, a nail polish that does not stink? Hmm, well that must mean the polish is watery? Or that the polish will come off in a matter of minutes? Well I am happy to admit I was way off! This is a great product, there is nothing like it at all anywhere else. I love it. The polish is just like “real” polish because it is real! The polish lasts for a short while and it has a pleasant scent! Yes it really has no bad smell. That is a wonderful thing. My daughter just loves her Snails a Safe, Washable Nail Polish. She had a blast coloring her nails. She also insisted on painting my nails as well. I said only one color for me please. • Revolutionary formula: SNAILS Kids is made of three safe, simple, main ingredients: water, acrylic polymer and non–toxic colorants. 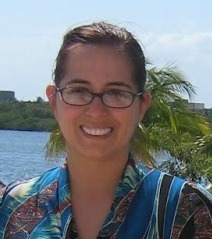 • Eco friendly: we never test on animals and our products carry enhanced green credibility. • Completely soluble: no harsh solvent–based remover needed. Simple soap and water effortlessly remove SNAILS Kids nail polish. • Hypoallergenic: SNAILS nail polish for children is purely chemical and toxin free. So little nails are kept safe, sound and splendidly colored. Please do not let the pictures fool you, the polish does not come out clumpy or thick at all. My daughter has not "mastered" the art of painting her nails yet. But she is practicing and getting better. The next time I will do her nails for her, if she lets me? Now, my daughter just loves to do her nails, she feels so grown up. And I love that there is no chemical smell, and that this polish is natural. I have no issues with her paining her nails herself, because I know Snails a Safe, Washable Nail Polish is safe. I know what will be on her Birthday list this year Snails a Safe, Washable Nail Polish will surely be on her list. Well if she is a good girl, she may get some more. So if you are looking for kid friendly polish that your daughter, niece, granddaughter or any spherical little girl in your life, they will absolutely love, I would recommend Snails. The generous folks at Snails are giving one of Susan's Disney Family readers a chance to win a Happy 1st birthday Snails set! Would you like to win? Please visit the Snails site, take a look take a look around the site, then come back here and let me know the color you love most! There are also other ways to enter, please enter below. We are offering a special celebration gift pouch. The pouch contains 2 polishes (selected at random),1 buffer and our cute instruction card. Each pouch will be priced at ONLY 7.50 EURO and is available now for a limited time only. An ideal gift for all little girls. Disclosure: The reviews and or opinions on this blog are my own opinions . I received nail polish to review. No monitory compensation was received. I was not required to write a positive review. Your experience may differ. The opinions I have expressed are my own I am disclosing this in accordance with the Federal Trade Commissions 16 CFR Part 255: Guides Concerning the Use of Endorsement and Testimonials in Advertising . I like the Secret diary and purple comet colors. Thanks so much for the fantastic giveaway! I love Fairytale and Bedtime Stories! The Love Is . . .
My favorite is Love is. I like Tooth Fairy. This type of polish for my daughter is exactly what I am looking for! So cute, we like bedtime story and fairy tales. I would love the prince frog! I like the Prince Frog and Bedtime Stories colors. I love the color Raspberry Pie! I love the prince frog! I love Fairy tale and Prince frog. Please tell me I'd the nailpolish washes out of clothes. Anyone know??? ?